I have mentioned before how I love going to the pumpkin patch at the beginning of October to buy decorations for the house. Instead of buying pumpkins for baking, I also stock up on canned pumpkin purée for cooking. I hate pumpkin pie, but love experimenting with other recipes, like cheesecake, muffins and cupcakes. This year I want to try to make pumpkin pancakes. As well as loving pumpkin flavours food, I am also obsessed with Pumpkin Spice Lattes. Oddly the drink has only been available in the Starbucks in the UK for the last three years. Before that, I had to order the Pumpkin Spice syrup online. Or binge drink them when we were on vacation in America. When we went to Las Vegas I even brought I drink at the airport before collecting my suitcase from the carousel. Autumn is all about layers. I do love scarves and chunky cardigans, but for me, autumn is all about the beret. Every year I like to knit myself a new hat (normally a beret) in the new colour of the season. This weekend I will take my hats out of storage, ready for the colder months. I put them away over the summer in a box with lavender bags. Yes I know you can have a birthday at anytime of year. But both my husband and I celebrate our birthdays during the autumn, just a few weeks apart. This means that from the end of October to mid-November our calendar is filled with outings for our birthdays. Over the last few years we have both celebrated big birthdays so this has involved a vacation, but normally its a few meals, maybe an afternoon tea and lots of cocktails! My birthday actually falls on Halloween. (my final favourite thing about autumn). This means that a lot of activities around my birthday have a Halloween theme. Which I love! It also gives me an excuse to decorate the house in Halloween/birthday hybrid of decorations! 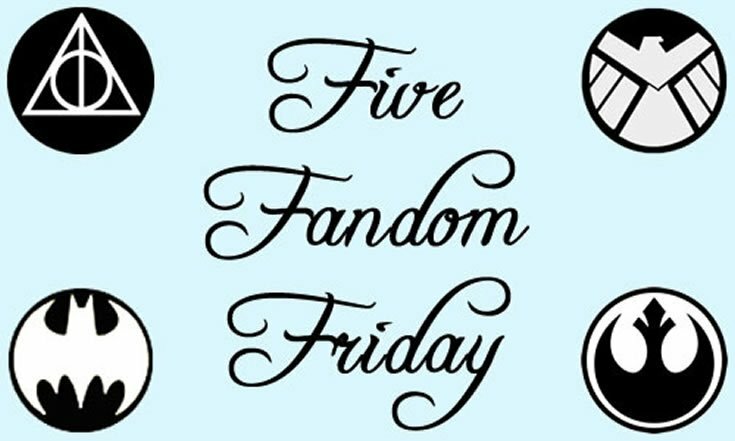 Thank you The Nerdy Girlie & Super Space Chick for creating Fandom Friday check out their blogs for more information. Or follow the #fandom5 or #5fandomfriday on Twitter.